In attendance at the workshop were practitioners and stakeholders from throughout the Rideau Canal and Trent-Severn waterways, including Parks Canada regional offices, Conservation Authorities (Cataraqui Region Conservation Authority, Rideau Valley Conservation Authority), NGOs (Muskies Canada, Big Rideau Lake Association), and stakeholders. 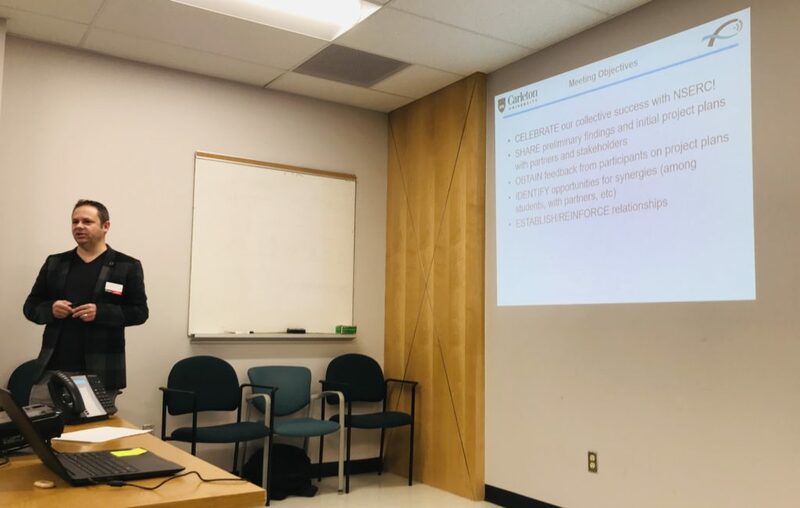 The purpose of the workshop was to provide a forum for those actively involved in the research associated with the NSERC SPG to share and disseminate their work, and to generate new opportunities and synergies between projects. The workshop will be hosted annually in the fall for the next 3 years as a way to communicate scientific findings directly with Parks Canada scientists, managers, and practitioners. It will also provide the forum for Parks Canada staff to discuss information needs and to help guide future research to support the historic waterways. Grant collaborators include the Rideau Valley Conservation Authority and the Big Rideau Lake Association.